Your audience is waiting. The NACC is home to two theaters, Woodbox Theatre and our Grand Theatre. 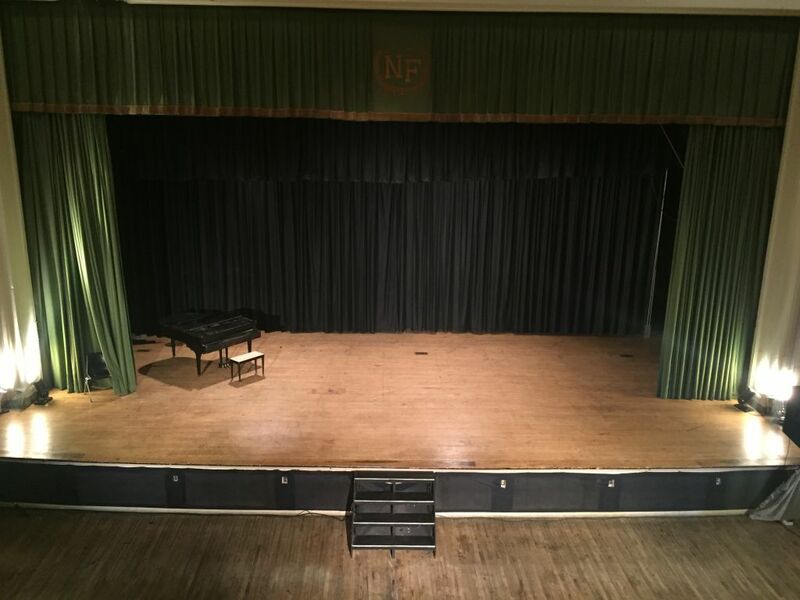 Our Grand Theatre is perfect for your next musical, new play, concert, recital, or movie screening. With capacity for up to 500 people! We are currently working to raise money to renovate this beautiful space, keep checking back for details! A Brief Letter of Introduction: Tell us who you are, what you do, and what your vision for your production. Do you need rehearsal time, how many shows will you be producing? What dates are you seeking? Production Information: Please tell us the title of the production and supply a brief description of the production / synopsis. If you have them, please also send Marketing Materials / Flyers, ticket prices, and how ticket buyers can contact you for tickets. Any additional, relevant information is helpful, this way we can promote your event! Any additional information about your production company, actors, and press releases for your production!